Student.com was born from the fact that it can be very difficult for students to find accommodation abroad. Living away from home is difficult enough without the added complexities of language barriers and lack of familiarity of a city sometimes thousands of miles away. This is where Student.com steps in. With their platform, students can choose from over 800,000 rooms across the globe with the smallest possible amount of stress. Having launched in 2011 focusing on Chinese students studying abroad, Student.com is now the world’s largest marketplace for student accommodation. The company now helps students from over 130 countries s find somewhere to live in more than 400 cities from Dubai to Dublin. Student.com had recently restructured to use Kubernetes when they first started looking into using AWS Spot Instances to boost cost optimization. The nature of the business (students predominantly looking for accommodation during the months running up to new terms) meant that seasonal spikes in usage were high. This, in turn, meant that all their environments needed to be able to scale freely. Kubernetes allowed this at a container level, but what was really needed to help optimize costs was something that would help scaling at an underlying infrastructure level. And if this could be done whilst simultaneously reducing costs then all the better! That was when Steve Lowe, CTO at Student.com, first came across Spotinst. Upon seeing the promise of an 80% reduction in cost with 100% availability and no architectural changes, Steve, like many others, thought it was too good to be true. After looking into the company more and understanding the premise of the offering, Steve and his team decided to test out Spotinst. Setting up with Spotinst was, to quote Steve, “ridiculously easy”. Once Spotinst was connected with the Student.com AWS account, the Kubernetes integration meant that migrating workloads could be done with only a few clicks. Student.com just migrated the ASG of the Kubernetes nodes to Spotinst using the Spot Analyzer tool and connected the Elastigroup to the Kubernentes Master server. Then, the Elastigroup started to utilize Spot Instances in the running cluster. 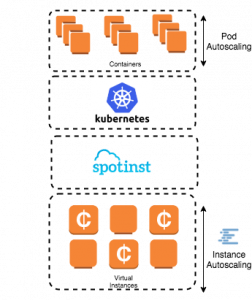 Now Student.com was running its Kubernetes clusters with Spotinst, with the platform’s built-in autoscaling features and use of EC2 Spot resulting in an 83% reduction in costs. 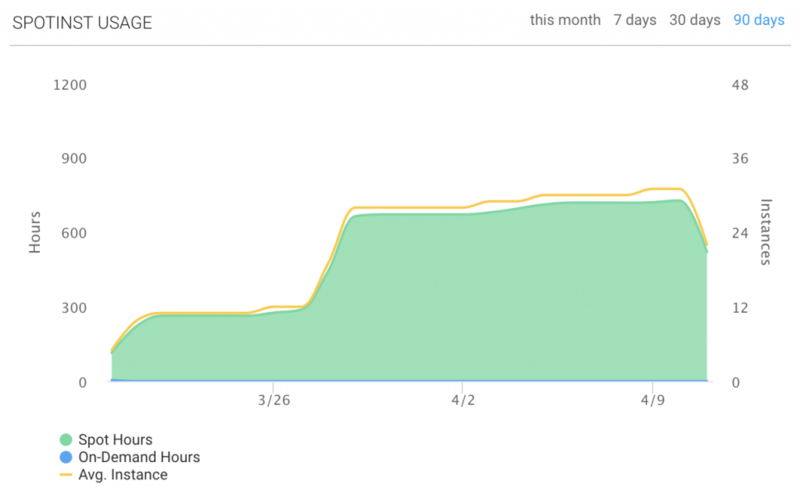 How Europe’s Leading Mobile Bank N26 Managed To Save 85% On Their EC2?